There hasn’t been a licensed snooker game in almost a decade, which seems unusual when you consider the popularity of the sport. Sure, it’s never going to rival FIFA or Madden, but billiards can be brilliant fun – even if you’re not necessarily a baize buff in real-life. 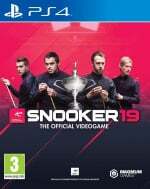 Snooker 19, then, is the first game on the PlayStation 4 to include Ronnie O’Sullivan et al. And having sat down for a quick frame, we must admit it’s right on cue. Due out on 17th April ahead of the World Snooker Championships in Sheffield, publisher Ripstone couldn’t have timed its release date any better. 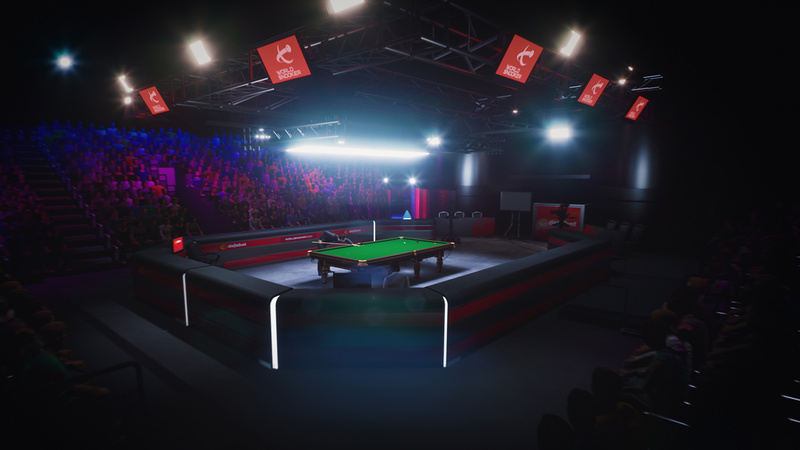 Packing a roster of 128 professionals – over a dozen of which have been photo scanned – this is an authentic package, featuring every official sponsor, arena, and tournament from the real-world snooker circuit. If you’re a fan of the sport, then you’ll appreciate the attention to detail here. While the character models can be nightmarish, the venues look superb – they’re moodily lit, with every real-world prop and advertising hoarding in place. 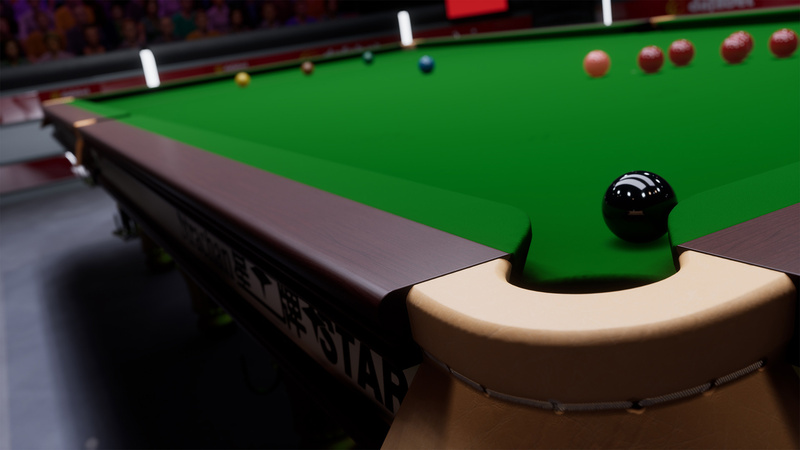 The developer Lab42’s even worked with snooker table manufacturers to ensure that they’re modelled authentically, while the baize picks up finger-prints and marks over the course of a match. It doesn’t always look photo-realistic, but when it does it’s difficult to distinguish from the real thing. Of course it’s the gameplay that’s pivotal, and Snooker 19 isn’t doing much differently to past snooker titles – it’s just doing it better. Each shot has a three step process: a top-down view, a first-person view, and a cinematic view. With each step you can set the power, spin, angle, cue elevation, and more. The final step of the process involves a simple stick flick, and the complexity of the shot will determine how precise you need to be. There are multiple difficulty settings, with different aiming aids enabled depending on what you select. The career will see you selecting an established superstar and trying to maintain their ranking position, or playing as a lesser ranked player and trying to get them to the top. 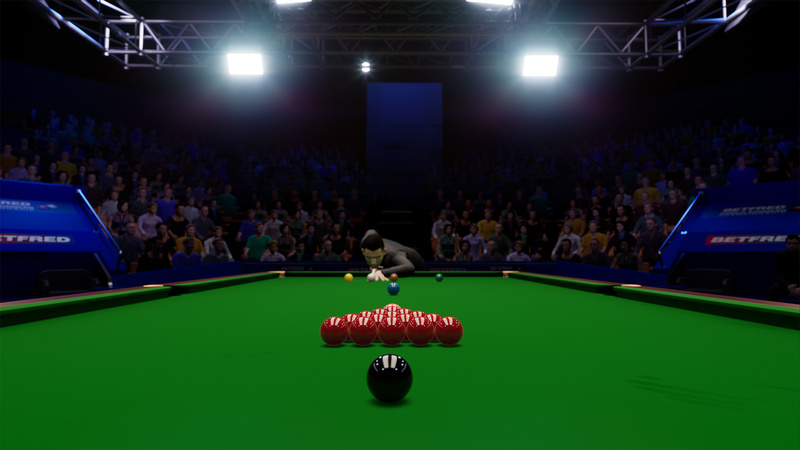 There’ll also be online multiplayer tournaments which will closely mirror the real-world snooker circuit, meaning that you’ll be able to challenge for the in-game world title while the tournament takes place for real. All in all, there’s something therapeutic about snooker titles, and this looks to be the best yet. The ball physics are absolutely exceptional, with every bounce, spin, and miscue perfectly calculated on screen. We’re not convinced by the Eurosport-led commentary, and there are elements of the presentation that do show the project’s budget limitations. When you’re building up a break, though, this is as satisfying as we suspect a snooker game will ever be. Will you be making a 147 in Snooker 19 on the PS4? Are you a fan of the real-world sport, or do you find something relaxing about these games? Sink the pink in the comments section below. Pre ordered.. looking forward to it! I do think that games like this should have 'every' conceivable cue and ball type games in one package. I also think that these games struggle to bring much to the 'table' (LOL) as 'snooker/pool' games have been around for a LONG time. It was a showcase of Physics and mastered many years ago. The visuals obviously improved from the top down 2D view but once they went 3D, its been more 'refinement' than radical change. The games aren't visually taxing and the Physics has been pretty much sorted. Obviously there has been improvements since the PS2/Xbox era but I really don't think there has been leaps. Snooker too seems to have dropped in coverage - maybe its that I personally don't notice its on anymore where as years ago, when there was fewer channels, Snooker seemed more popular, more 'important'. Back then, Steve Davis, Jimmy White etc were household names and I can't tell you who is 'world' champion now. @BAMozzy You are showing your age BAM. Snooker was put on TV and showcased colour TVs which was a boon for the game. We only had 3 channels back then and BBC had the rights to the World Championship which it showed as often as possible. It was one huge cigarette advertisement and money was pumped in. With the reduction in Cigarette advertisements and loss of interest from the public (due to more channels / bsb / sky) the prize money dropped significantly. In 2005 the cigarette advertisement ban started and with it the Prize money decreased significantly. Recently Snooker has made a comeback - unsurprisingly gambling is the new cigarette and is plastered all over the Sport. I'm trying to find a link to show you as it was an interesting read back then but with all click generating articles there isn't a cohesive article explaining it and the reduction in the prize fund. But its pretty interesting. The reality is Snooker is a good game - even fun practising on your own. However it is really slow and unlike a number of other successful parlour games such as Darts, Pool and Poker the presentation hasn't really changed with the times. Snooker was something I would occasionally watch and do remember the 'cigarette advertising' through it. I can also remember the likes of Dennis Taylor, John Parrot and even Stephen Hendry but who is competing nowadays, who is 'world' champion etc, I have no idea. Often, Snooker was on because it was the 'best' of a bad lot. Also, the world champions were 'household' names, in the news as well. I wouldn't be surprised if 'betting' and betting sites are using snooker as a platform for advertising, there are so many betting advertisements on TV and sponsoring some unrelated TV programme. With on demand services, advertisements may not be reaching the numbers of people anymore so plastering adverts in the coverage of snooker is at least one way of making sure that their specific betting site is recognised more than others. Seems to be priced quite reasonably too. Might actually get this. Thinking of getting this on switch tbh. Depends on price. Glad we have a snooker game properly licensed this gen. wonder if any legends are included. Ask China what they think of snooker. Its picked up massively again from those smokey days. More tournaments than ever. Ronnie and John Higgins still play, Mark Selby, Neil Robertson to name a few. @BAMozzy Snooker is very healthy right now imo. There are loads more tournaments than there used to be, which has changed the game quite a bit. As a fan it means there’s more to watch (I have the China Open on as I type) but as a player it means there’s less pressure to do well in just a few spread out big events, because you know that if you lose, there’s another tournament around the corner. This has allowed several players who were on the periphery to break through. The ranking is updated more regularly and is linked to prize money, which means it’s a better reflection of current form. The world champion is Mark Williams, who beat John Higgins (you might even remember them) in a classic final a year ago. Is it just snooker or can you play pool aswell? @BAMozzy to be honest snooker has more tournaments and coverage than it's ever had since Barry Hearn took over..in UK it's on BBC , ITV ,Quest and SkyEurosport the prize money is the highest it's ever been and the game is the most popular it's ever been. I might pick this up in a sale one day just to learn the rules. didn't hustle kings have snooker dlc?. sure, it didn't have the licences and it was just a disembodied cue, but i'd be surprised if the tables/balls visuals and the physics aren't as good as this. @BAMozzy I remember watching when some players were actually smoking fags and had a pint of beer on their table. How times have changed.